Includes … Royal Wedding Bun Throw. Old Gaol, County Hall, Cemetary, War Memorial improvements. Local Election. David Walliams and the Swan Upping and dragon boats on the River Thames. Dance day, Abingdon’s got talent, Yeah Baby, various markets on the Market Place. Apple Day. South Abingdon Residents Plan events. Morris dancing with the crowning of the Mayor of Ock Street. St George’s parade, Tesco Extra protests, Heritage Day and fun in the parks, Marathon, Nov 5th Fireworks, Remembrance Day, Christmas Extavaganza and lights, Boundary Walk on Jan 1st 2011 …. and much much more. Jean Jones once told me that she always read the Abingdon Herald obituaries because so often she would read about a friend’s passing there. 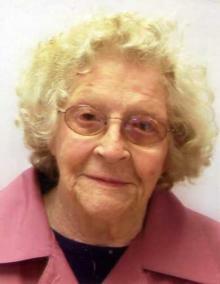 In 2010 we said goodbye to Jean Jones. Pauline Selleck taught me and my wife to do the waltz and foxtrot two years ago at Abingdon Dance Studios. She was an excellent teacher. 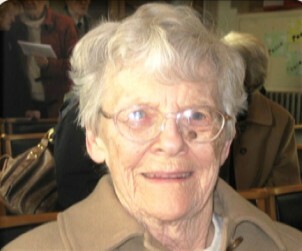 Pauline was born in Abingdon, attended Our Ladies Convent, and taught ballroom dancing from 1953. She ran the full-time dance school in Swinburne Road which her daughter Liz continues to run. Pat Lonergan, when he was Mayor, gave her a Mayor’s award for service to the community. I first met Lilian Barry at a creative writing class at the Oxpens college in Oxford, about 30 years ago, just before I moved to Abingdon. In the class she specialised in humorous poems. I saw more of those poems when I moved to the Tithe Farm estate in Abingdon where she edited the residents newsletter for 15 years on a portable typewriter, and often ended with a humorous poem. She, and her successor Steve Annells, were the inspiration for this blog. She was the warden at the Jephson flats for 17 years and after retirement at aged 72 worked in a number of our charity shops until the doctors forced her to retire a decade later. I often used to sit near Betty Flew at Trinity Church. She was a very kind but frail lady and I was very suprised to learn at her memorial service that she had been a nuclear physicist before retirement. Retired people often amaze me with things they have done earlier in life. 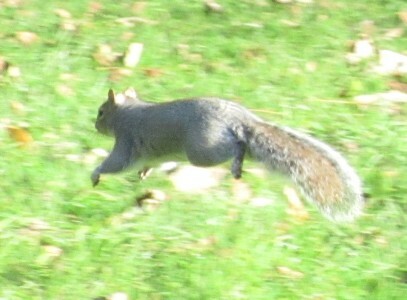 Lost Grey Squirrel. Answers to the name Nutkin. Somebody has put up a notice on a tree in the Albert Park. 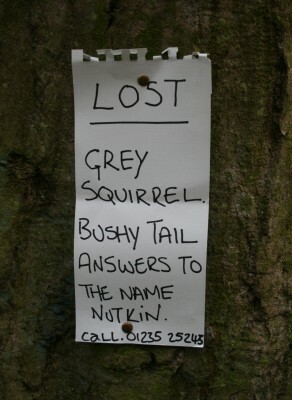 Lost Grey Squirrel. Bushy Tail. Answers to the name Nutkin. 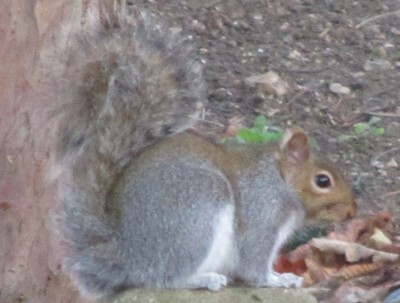 Grey squirrel A is doing well …. 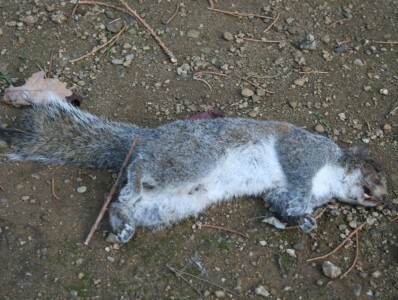 Grey squirrel B could out run most dogs …. 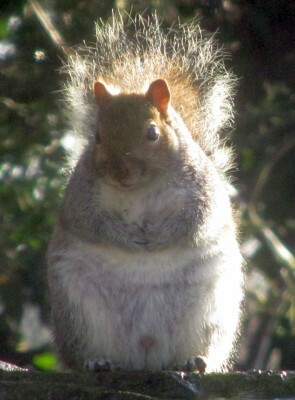 Grey squirrel C is looking fine and dandy …. But the luck of Grey Squirrel D has run out. Hopefully it is not Nutkin. This is the state of the town centre on a mild Thursday at the end of 2011. 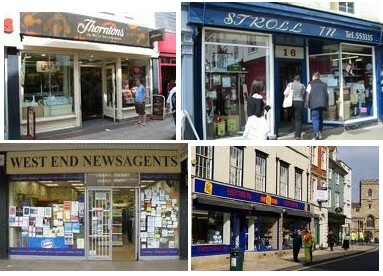 In 2011, there was the closure of Stroll In and the 90p shop who probably found competition with Poundland difficult. Thorntons also closed as part of a national rationalisation. We said goodbye to Camino replaced by Bath Street Bistro, Salinas was replaced by the Lemon Grove, and Daddy’s Cafe was replaced by Zabb Thai. Bucknell and Ballard were taken over by Davis Tate, and Abingdon Letting became Oxfordshire Estates. Acreedo Tattoes moved from Ock Street to High Street. West End News moved and was renamed as Abingdon News Plus to make way for the imminent redevelopment of the Abbey Shopping Centre. And Property Weekly moved out of town soon after the launch of the Oxfordshire Guardian . Azuri accesories closed. The Plough closed for a while then reopened refurbished as the Harp. And Newton Alexander closed for a while and was replaced by Utopia Boutique. 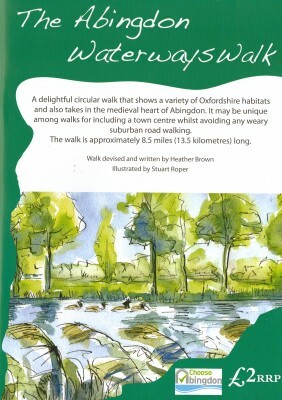 The Abingdon Waterways Walk is a very recent booklet, describing an 8.5 mile circular walk, with text by Heather Brown, and pictures by Stuart Roper, produced by Choose Abingdon. 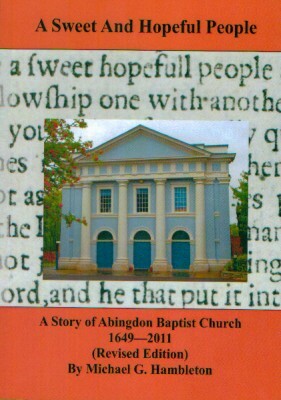 “A sweet and hopeful people – a story of Abingdon Baptist Church 1649 – 2011″ is a book written and revised by Michael Hambleton. Celebrating Abingdon’s History, is a book produced by Abingdon Area Archaelogical and Historical Society. 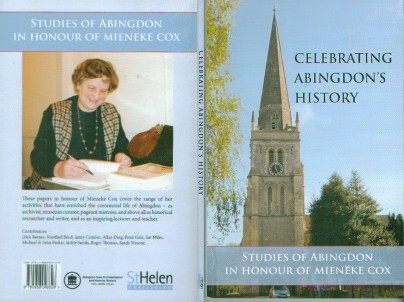 The book comprises 9 papers first presented at St Helen’s Church in honour of local historian Mieneke Cox. 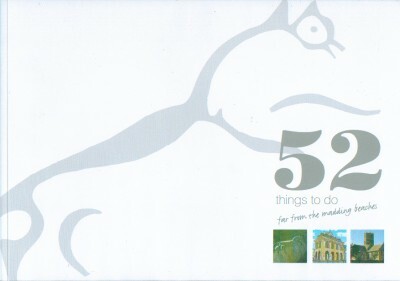 52 things to do far from the madding beaches is a book about the Vale of White Horse, which of course includes Abingdon. The book grew out of a competition asking people to submit poems and prose, photographs and paintings about where they live in the Vale. It is a book to dip into and also gives ideas of things to do locally. The final book called The Lost Abbey of Abingdon I have not even seen yet. I tried to get a copy today but both Mostly Books and The Bookstore sold out on Christmas Eve, and are currently ordering more. W H Smiths did not have the book on their system yet. I will add the picture when I find a copy. By the way… Have I missed any books you know about Abingdon from 2011?